SinMix I Reamping I Mixing I Mastering I Kemper Profiles | SinMix Producer Pack II Out Now! 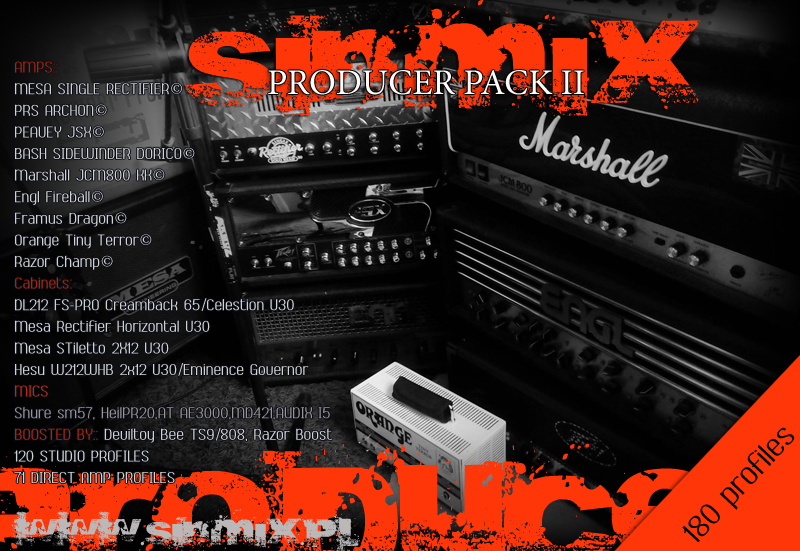 SinMix Producer Pack II Out Now! On the road? we got you covered. Our profiles are direct amp ready! plug your kemper straight into your cabinet and enjoy the power that the PP2 brings. The more time you will spend with the pack the more options you will discover! Take your mixes to the next level with the Producer Pack 2.